Take part in our anniversary! This year we want to celebrate with you the 10th anniversary of this highly successful conference series which started in 2006 in London organized by Richard Handy. After London, Birmingham, Vienna, Clemson, Banff, Aix-en-Provence, and Columbia the conference will again be held in Vienna, Austria. 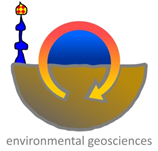 The Department of Environmental Geosciences at the University of Vienna is organizing this event which will be held from September 6th –10th, 2015 at the University of Vienna, Austria. As one of the globally leading conferences on environmental nanoscience and nanoecotoxicology, the 10th ICEENN will bring together researchers, regulators and industry to discuss the recent advances in the investigations of risks of current and future applications in the key sector of nanotechnology, along with procedures of risk management to maintain the economic and social benefits of the sector. The conference will be preceded by a 2-day workshop (5. and 6. September) dealing with FFF and sp-ICPMS nanoparticle analysis in complex media, including a one-day hands-on training in our laboratories on some of our Field-Flow Fractionation - ICPMS units and our single-particle ICP-MS systems including triple quad ICPMS. The Venue is the University of Vienna’s 9th district campus, located closely to the city center with all the opportunities offered by this vibrant city. World class museums, operas and theaters as well as shopping areas, restaurants, clubs and bars are at your fingertips or only a short tram ride away. Frank von der Kammer (University of Vienna), Richard Handy (University of Plymouth), Jamie Lead (University of South Carolina), Eva Valsami-Jones (University of Birmingham), Greg Goss (University of Alberta), Stephen Klaine (Clemson University).